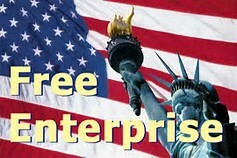 Our purpose is to support and encourage free enterprise. About ABOC The All BusinessOutReach Committee (ABOC) of Orange County Republican Executive Committee (OREC) underwrites the Small Biz Alliance (SBA). Our mission is to maintain the principles of the Republican Party free enterprise system and encourage individuals to enjoy the benefits of opportunity, economic growth and prosperity to retain the principles that have made us strong while developing new and innovative ideas to meet the challenges of changing times to preserve our national strength and pride while working to extend peace, freedom, and human rights throughout the world.